A few days ago I’ve asked my subscribers about what they’d like me to write my next blog post about and that made me realize something… Despite of the fact of having published a Kindle course, I’ve never really write about Kindle here on the Art Of Marketing Blog and it is finally time to change it! I could have written about a variety of subjects concerning Kindle self published eBooks but today I want to focus on writing under a pen name – a thing that seems to be confusing for many authors and/or future authors. – Writing in different genres – if you are going to write books about things that aren’t really connected to each other, it is probably a good idea to use a pen name for each genre. For example, when I write about wine I use one pen name but when I write about survival knives I’m using a different one. You don’t want to confuse your audience when it comes to what you are an expert in. When someone will look up your pen name, what you want them to see are all of your books from the same genre and not All of your books, right? – Limitations of the Real Name – many authors choose to write under a pen name, simply because their real name is complicated to pronounce, it doesn’t stay in your memory and can be easily misspelled as well. Names like ‘Joseph Conrad’ are much easier to remember then ‘Jozef Teodor Konrad Korzeniowski’… Many times it is actually the publisher that will advice the author to use a pen name but with Kindle self published eBooks it is totally up to you. – Protection of the author’s identity – authors want to keep their privacy for a number of reasons: political matters – especially in countries that are under strict regimes, working for a government or official organization or simply avoiding a situation where everyone that knows you can very easily look you up and see what you’re writing about. – For each pen name you’ll need a different website, facebook page, twitter account, google profile etc – are you sure you have the time for it? – You will have to be able to switch identities when writing under different pen names and not everyone is comfortable with doing that. – You will limit your opportunities for creating your brand with your real name and create an even bigger following. All I hope for is that I’ve helped you a bit on taking a more conscious decision about using a pen name (or not). 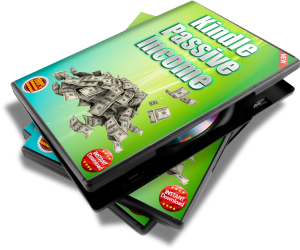 This entry was posted in Internet Marketing Training, Kindle, Success, Work At Home Opportunities and tagged amazon kindle self publish, amazon kindle self publishing, choosing a pen name, kindle passive income, Kindle Self Publish, Kindle self published eBooks, kindle self publishing, pen names for authors, writing under a pen name, writing under a pseudonym by Art. Bookmark the permalink.